Anthony Conti is 16 years old, and fighting an extremely aggressive stage 4 Cancer. His dream was to make a Hollywood film. Johnny Depp, J.K. Simmons, Sam Raimi, Trent Reznor and others teamed up with Anthony to write and shoot his film - a zombie film called "Black Ghiandola". See article in the Hollywood Reporter. We need your help with the final step - creating a special red-carpet screening for Anthony, his family, his fellow cast and crew, the Hollywood community (and hopefully you!) - before Anthony is too weak or in too much pain to travel to LA to see it. About Anthony: Anthony has been diagnosed with Stage IV adrenal gland cancer. He is from Walpole, MA. He always wanted to be a filmmaker, and wrote a script for a zombie film. About Us: The Make a Film Foundation is a non-profit 501 (c) 3 organization similar to the Make a Wish Foundation. We grant film wishes to children who have serious or life-threatening medical conditions by teaming them with notable actors, writers and directors who help them create their film legacy. Make a Film is 100% volunteer powered. All donations are 100% Tax Deductible. About the Film: "Black Ghiandola" tells the story of a young man, played by Conti, who risks his life saving a young girl he has grown to love after his family has been killed during a zombie apocalypse. Post-Production Costs- to finish the film. 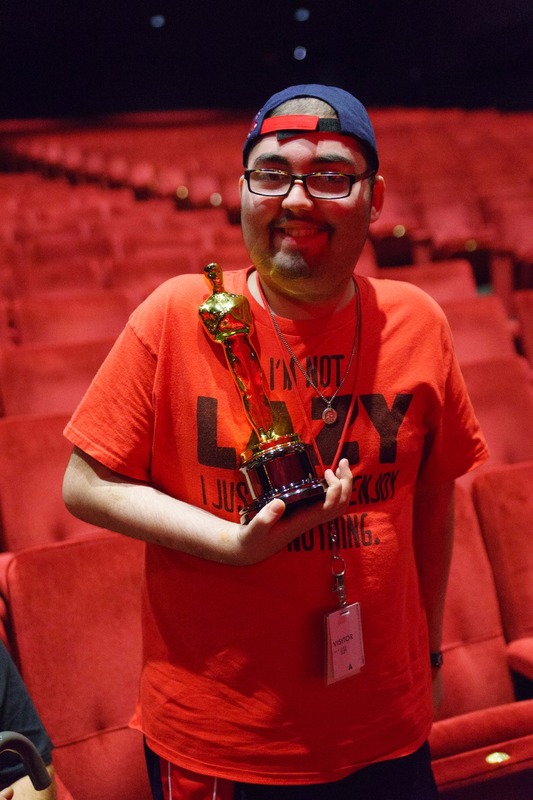 Anthony Conti holds Oscar at his "Academy Experience" where one of his other short films, "Twinkle, Twinkle" was screened. 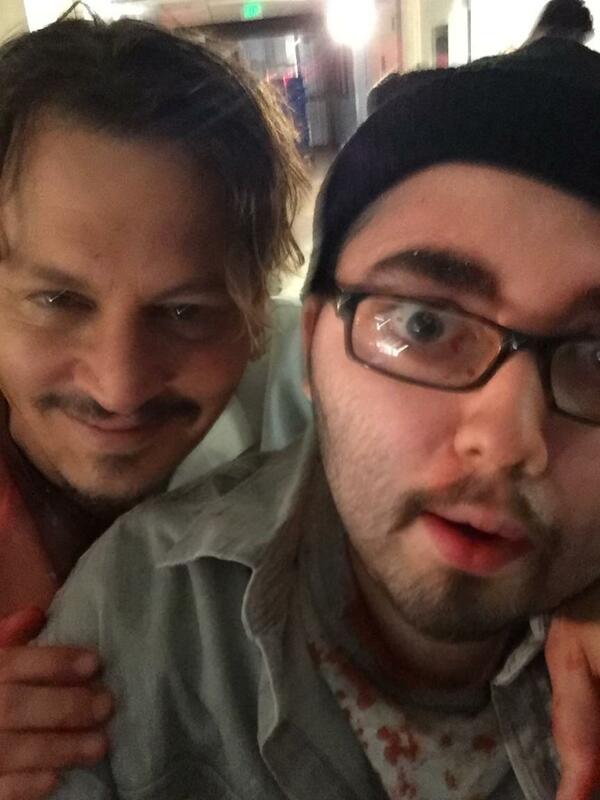 Anthony Conti and Johnny Depp having Selfie fun on the set. 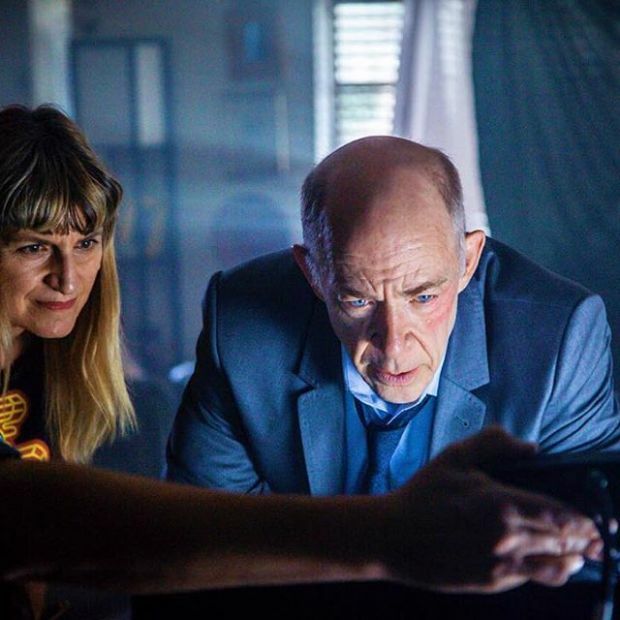 A Zombie-fied JK Simmons eats the intestines of a rascal played by Chad L. Coleman (The Walking Dead). Check out our feature in NBC Nightly News here! LA WEEKLY!! We are so grateful and amazed at the awesome article written about the film, Anthony and Make A Film Foundation by April Wolfe of LA WEEKLY. We're making progress - $2K in 2 days. Join us! Good News! 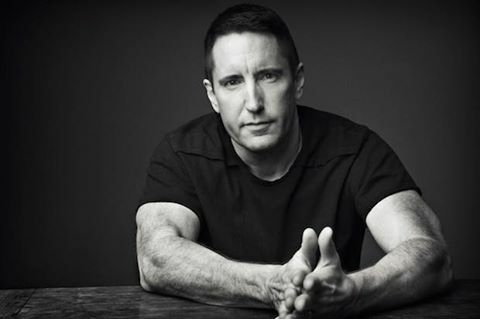 Trent Reznor, from NINE INCH NAILS, and an Oscar Winning composer has said YES to composing the music for Anthony Conti's Make A Film Foundation film, "The Black Ghiandola"! :-) We are so excited to have Trent be a part of this project. You too can be a part of the magic we're making for Anthony. Donate/Spread the word. We would love to see you at the screening. Executive Producer credit & 4 VIP tickets to the red-carpet screening & Gift Bag. Your film grants a child his last wish, and features Hollywood's top stars. Associate Producer Credit. 2 VIP tickets to Red Carpet screening. Gift Bag. Your donation will help make Anthony's film dream come true. Art work created/inspired by Anthony Conti, signed by select cast & crew. Listed in End Credits as Zombie Warrior. 2 VIP Tickets to screening. Gift bag. Listed as Zombie Killers in end Credits. 2 Tickets to Red Carpet screening. Gift Bag. Ticket to the Red Carpet screening with Anthony Conti, Cast and Crew. Awesome Compilation of photos from the shoot. Gift Bag. An Awesome compilation of photos from the shoot of "The Black Ghiandola." Link to previous MAFF film: The Magic Bracelet, Deep Blue Breath, Put it in a Book. An awesome compilation of professional photos from "The Black Ghiandola" shoot. Special thanks shout out via social media from Make A Film Foundation. Digital Poster of Film. Awesome! Thanks so much to Make a Film Foundation and all the volunteers for helping Anthony's dream come true.